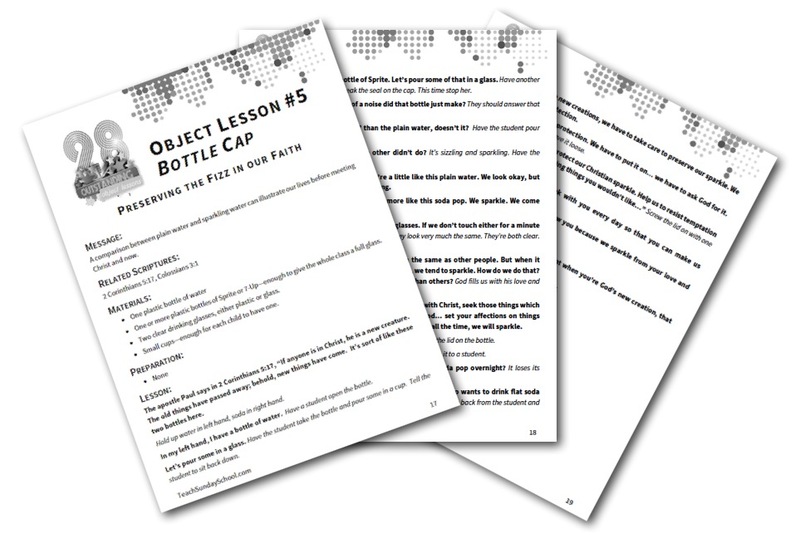 Have you heard about Moses and the burning bush? That is a story in the Bible from the Book of Exodus. Moses had grown up in Egypt in the palace of the Pharaoh. When he was about 40 years old, he ran away from Egypt because he killed an Egyptian that was beating up a Hebrew. Moses spent another 40 years in the backside of the desert with the Midianites. It was here that God worked on Moses and taught him what he would need to know to be a leader, a leader to free the Israelites from slavery in Egypt. 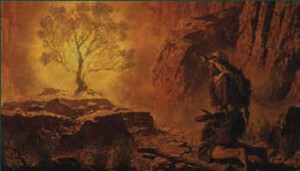 Moses and the Burning Bush by Arnold Friberg is provided courtesy of Christ-Centered Art. One day Moses saw something very unusual. He saw a bush that appeared to be on fire, but it wasn’t burning down. It was the angel of the Lord. This was a name for God. It was actually Jesus (before he ever came to earth, he has been alive forever) who called to Moses. Moses answered, Here am I.
Moses was afraid because he realized it was God speaking to him. God was calling him to service. He wanted Moses to be the leader of the Israelites and take them away from being slaves in Egypt to serve God in the Promised Land. Moses made excuses but finally he realized he could not turn down God’s call to serve him. As one last effort to make an excuse, he asked God what his name was so he could tell the children of Israel who it was that called him. God answered with a word we now call Jehovah (from YAHWEH), which means I AM THAT I AM. This name means that God has lived forever; he is God because he is God and that’s it. Jesus is the great I AM that spoke to Moses at the burning bush. As Christians we are called to serve God also. We can make excuses and disappoint God, or we can do all we can to serve Him. Some Christians are called into special areas of work for God and become pastors or missionaries. But what I’m speaking about right now is not that. I’m speaking about EVERY Christian. Every Christian is called by God to serve him at school, work, or play. We can serve God no matter where he places us.